Get ready to turn heads in this classy satin dress. 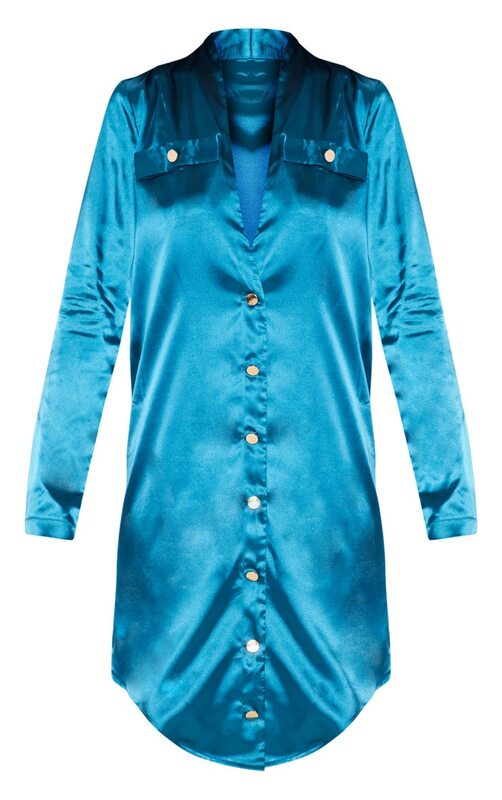 Featuring an eye-popping teal satin material with a button up detail, this shirt dress is all kinds of goals. Team with rose gold barely there heels and add a belt to the dress to make it the perfect weekend pick.